Description: Massimo Farao is a wonderful Italian pianist who has played and recorded with Red Holloway, Albert "Tootie" Heath, Tony Scott, Franco Ambrosetti, Nat Adderley, Jeff Tain Watts, Jack DeJohnette and Chris Potter, among others. Venus Records' producer Tetsuo Hara must have really fallen in love with Farao's music because in less than a year he has released no less than five of the Italian pianist's albums. The debut CD by his trio Luiza was followed by Bohemia After Dark which featured his bassist Aldo Zunino in a duo setting. Now we have three new albums (Autumn Leaves, My Funny Valentine and I Left My Heart In San Francisco) that were all recorded in a three-day session in February, 2014. It seems quite a feat for a piano trio to produce three albums-worth music in three days, but the quality of the performance is consistently high. Farao's passionate style and romanticism are very attractive along with the rich harmonies he creates. He doesn't play too many notes and his arrangements are relatively straight forward, but his choice of notes is exquisite. With his unfailing sense of swing, all his music--including ballads--radiates an aura of happiness. Recommended to fans of piano trios! Produced by Tetsuo Hara. Recorded at Pianopiano Studio in Torino, Italy on February 11-13, 2014. The opening two selections on this CD, "Corcovado" and "Estate," are interpreted so tastefully by the Massimo Farao Trio that one might assume that this will be an easy-listening set. Certainly Farao, bassist Aldo Zunino and drummer Maroco Tolotti are experts at playing melodically and swinging at relaxed tempos. However the subtle intensity and occasional shows of virtuosity (such as the speedy bass solo and some double-time lines by Farao on "Estate") hint that there will be more to this set than just the depiction of a quiet mood. Massimo Farao, who is from Italy, first visited the United States in 1983 when he played with Red Holloway. In Europe he has since worked with many top performers including Tony Scott, Jesse Davis, Franco Ambrosetti, Nat Adderley, Jack DeJohnette and a notable tour in 2007 with organist Joey DeFrancesco. Even with all of that, it is as the leader of his own trio that he really shines. Farao's style is grounded in 1950s bop and he sounds very much at ease at every tempo. In addition to the two opening selections, he and his trio perform slow and melodic versions of "You Must Believe In Spring" and "Autumn Leaves." "To Each His Own" is given a playful and boppish treatment while the trio takes "Someday My Prince Will Come" and "I Thought About You" as medium-tempo swingers. Among the most exciting selections are Duke Jordan's "No Problem," "Alone Together" and an uptempo "Cheek To Cheek" during which Farao plays passionately and creates choruses filled with fresh ideas. The trio is tight with Zunino offering inventive bass lines behind the pianist along with some concise solos. Tolotti is often felt as much as heard on the ballads and swings hard on the faster numbers. 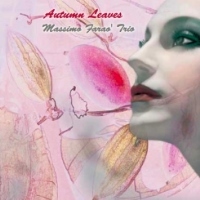 Lovers of the classic jazz piano trio will find much to enjoy on Massimo Farao's Autumn Leaves.